Blackjack is a game where the odds are relatively even, with just a small house advantage. This means for many years, those gamblers who like better odds of winning have targeted the game. 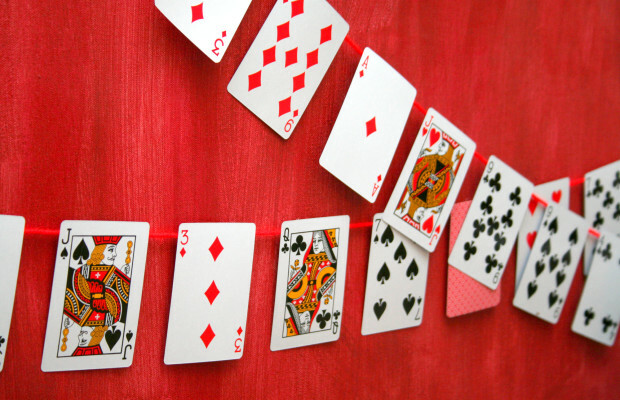 Furthermore, in addition to the game being relatively even, the cards in play at any given stage of the game also impact the chances of success or failure. Card counting is the skill whereby players can estimate the value of the cards about to be turned and make their bets accordingly, maximising their chances of a big profit when they win, and minimising their chances of a big loss if they lose. The first thing to note about card counting systems is that if a casino catches you using one, you are likely to be evicted from the casino and banned. Security cameras and croupiers will be watching players for any tell-tale signs of card counting, so while it is not technically illegal, it is actively discouraged. The second thing to remember is that there are literally hundreds of different card counting systems that have been developed over time, with a varying degree of success for each. These range from simple methods (like the Hi Lo Method) to more complex systems that require incredible amounts of mental dexterity. The last thing to note here is that card counting systems do work, but for them to work it has to look like players are not using them. Skilled practitioners will use these skills and even disguise their play, perhaps losing a hand or two to the casino, to make it look like they are not using a card counting system. Ideally, if you want to use card counting in a casino successfully, then paradoxically, its success depends on you playing like you are not using such a system to make your bets! That is the real skill in card counting and that is why players will take months and years to perfect their techniques and it is also why casinos invest millions of pounds to safeguard against it at the blackjack tables! Next Story → What is Shuffle Tracking in Blackjack?